Click the following link or on the picture of Sassy, the owner, for a Dining Along Side Roads Post about a great new restaurant in the Swansboro, North Carolina area. This is a map to the location if you want to skip the review and just take my recommendation. 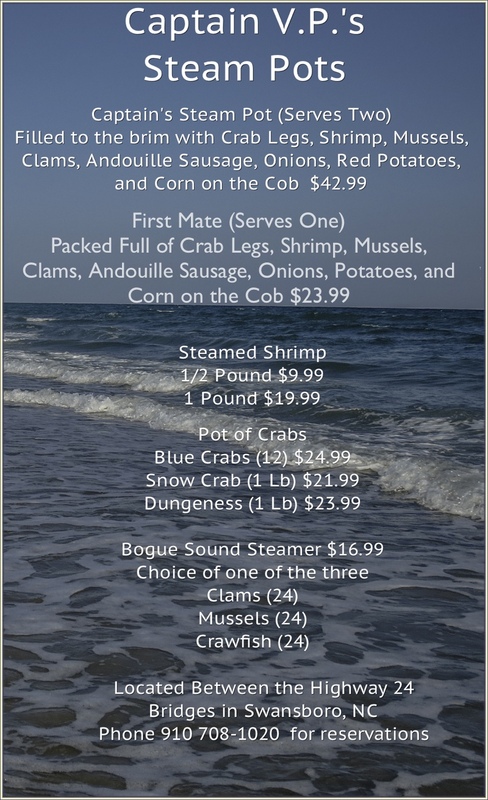 Author ocracokewavesPosted on July 27, 2013 July 27, 2013 Categories Crystal Coast, Restaurants, Travel1 Comment on If you love steamed seafood, the steam pots are here!